This classic 1971 Faces LP has one of the best as well as longest album titles in rock history. 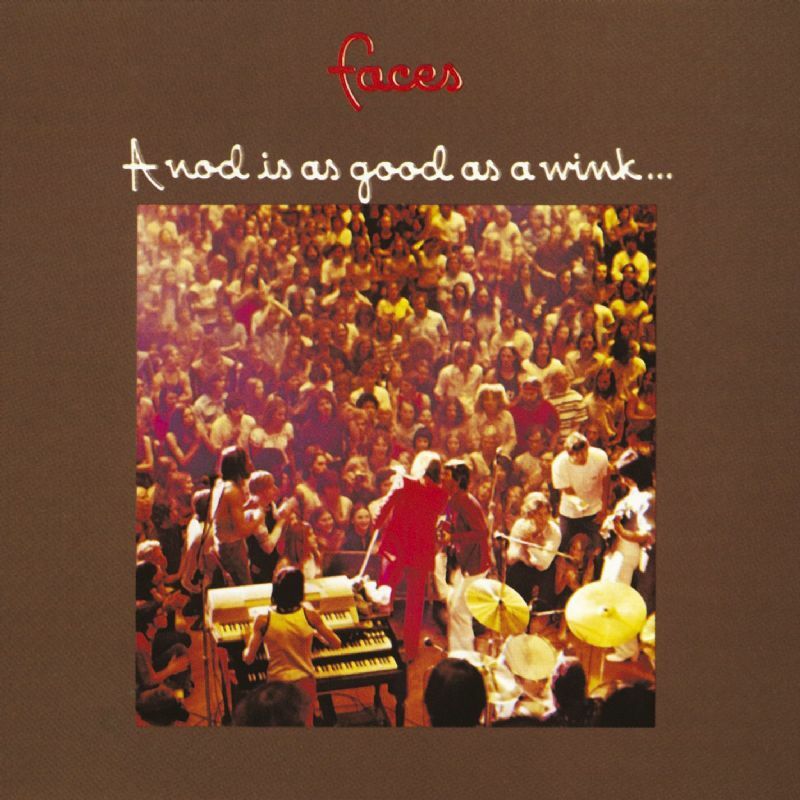 The Faces made their bones as a live band, but this album captured the essence of what made them so great in concert. There’s another anomaly to A Nod Is As A Good As A Wink To Blind Horse, its back cover is better than the front. That makes it an anomalous rarity too; repetitive but true, y’all. 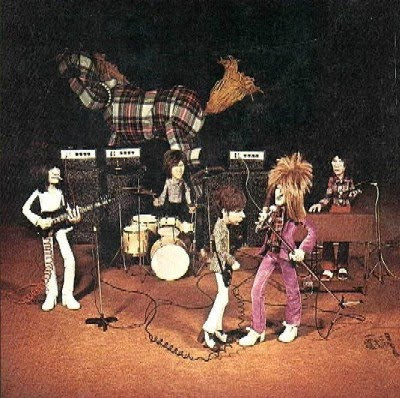 The cover has a pretty good live shot of the band but the back shows them as puppets, marionettes, or proto-action figures. Who among us wouldn’t want a Ron Wood action figure? The original issue of the album came with a poster consisting of a picture collage, including images of pills and pharmaceutical capsules, as well as photos apparently taken on tour of band and crew members reveling with naked groupies in hotel rooms. 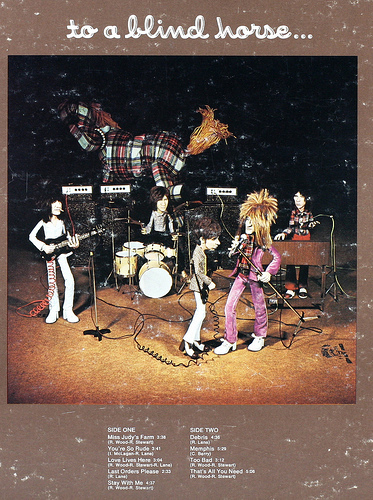 Within weeks of release, the record company had second thoughts and re-issued the album without the poster, making original copies with the poster into collector’s items. Though you did give me a horrible ear worm, you also reminded me of one of my favorite Monty Python bits, the 007 super spy Pantomime Horse. Sorry about that. I had it for a few hours yesterday if that’s any consolation. Misery loves company. What always confused me about that song was the line, “Give me a dime so I can phone my mother.” There’s just no non-creepy inference to be drawn from that. Where are those puppets now ? Just finished the Faces biography… apparently they each kept their own individual puppets except for Ronnie Lane who destroyed his because he hated it.